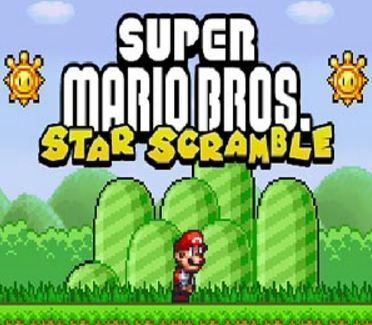 A Mario Flash game that recreates the classic Super Mario Bros. games! 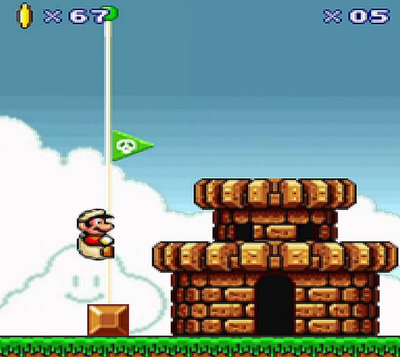 Guide Mario through all levels in Mario Brothers land! 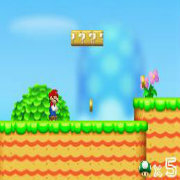 Collect stars, coins, shine sprites and defeat Bowser to save the Mushroom Kingdom! 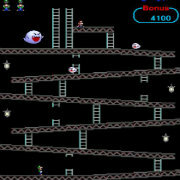 Collect coins, jump from platform to platform and avoid ghosts! 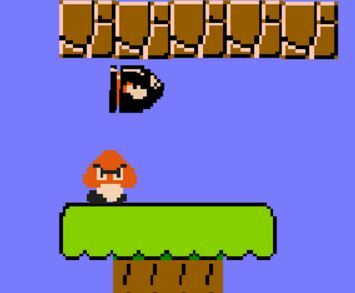 Grab coins and step on Goombas while avoiding the Piranha Plants and other various hazards! 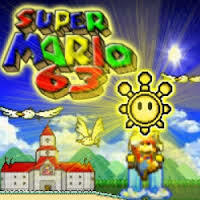 Super mario sunshine is a action adventure arcade game collecting stars! 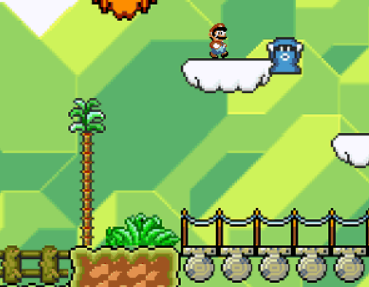 Super Mario 63 puts Mario on a completely new platforming adventure! 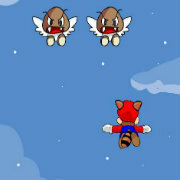 Explore several new stages, jump and run through platforms to collect coins and stars. 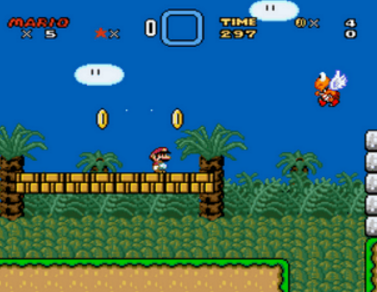 Help Mario and Luigi face the evil Wario and rescue princess Peach! 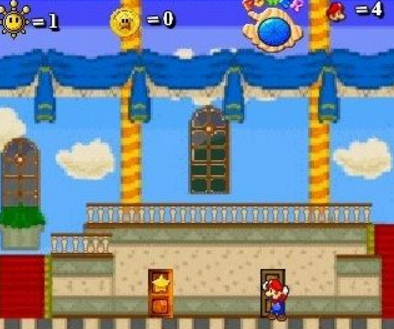 An addictive mario game where you must clear each stage by jumping into a coin floating in a blue sphere. 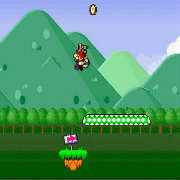 Complete each stage in the game to win by dodging obstacles or stone walls. 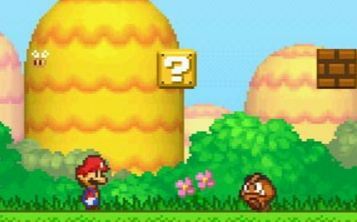 A Mario puzzle game that combines two old school games into one. Half Mario Brothers and half Tetris. 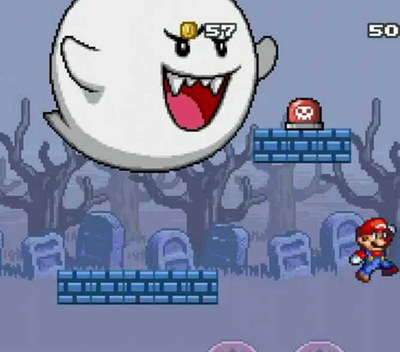 A large boo throws smaller boo's down in an attempt to foil Luigi's ascent! 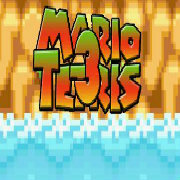 A fun Mario shoot em up game!